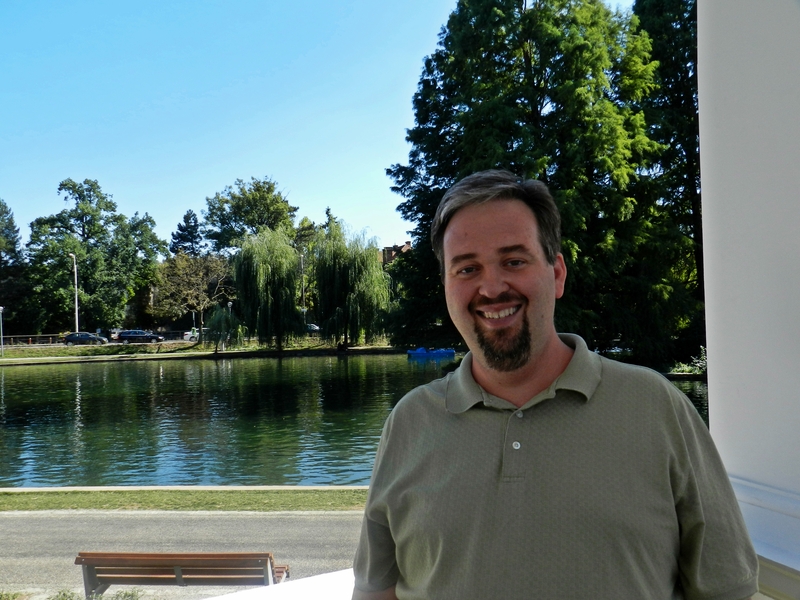 This is the blog of Dave Bunnell, a missionary and pastor of Biserica Harul Domnului (Grace of the Lord Church) a Calvary Chapel in Cluj-Napoca, Romania. My wife Lili and I have served together in Romania since April 2005. I pastor and Lili leads worship and does other ministry duties. We were commissioned as missionaries and I was ordained as a pastor by our sending church, Calvary Chapel Garland, TX. We have one daughter, Briana, who is 7 years old, and an adopted/spiritual daughter, Nadia, who is currently a bible college student in Hungary. Here on this blog, you’ll find audio/video Bible studies and messages; written devotionals; ministry news, photos, and videos; commentaries on life and faith; and reflections on the gospel. I am trying to find an organization to partner with in Romania working with disabilities. I went to Romania on a missions trip in 2005 to Timisoara for two weeks working in two different villages. We did Vacation Bible School stating for younger kids and an English program with teens and adults. I am looking to go back to work with people with disabilities and am having a hard time finding something. If you are able to help me in any way I would greatly appreciate it! I came across your blog by googling and enjoyed listening to your worship. I knew the songs in English and was singing along in my living room! There is a foundation here in our city of Cluj called “Caritatea Mephibosheth” that works with handicapped individuals and is like an affiliate of the Joni and Friends ministry in the US, providing wheelchairs and other things for people with disabilities here. They are the only such organization I personally know of in Romania, however I do not have any personal contacts within the group. hi Dave.i never listen ur speech.it is very good.from now on i will watch ur vedios. Is the service in Romanian or English? I’m Romanian in California. Calvary chapel canyon hills. 6m ago a lady came from Romania to help me after delivery twins boys. She is not a believer although I was able to take her to a local Romanian church. She has received the word well and would like to find a church in cluj, she doesn’t speak English. Thank you! If you pass that on to her she could see pictures and a map to the location where we meet and also see some videos of the worship music. Tomorrow evening (Friday) we have a movie night where we’ll be showing an evangelistic film called “Amazing Love”, in English with Romanian subtitles. If you are in touch with her today to suggest it to her, she might want to come. We’ll show it at 7 pm.